HEAD AND NECK MISALIGNMENT IS FREQUENTLY THE ORIGIN OF CHRONIC LOW BACK PAIN! Did You Know Head & Neck Misalignment Is A Common Cause of Low Back Pain. Many low back pain treatments focus only on covering up your symptoms when the most commonly overlooked cause of the problem is in the upper spine. The upper neck can be a factor in the development of lower back pain for two reasons. First, the spine works and moves as one, continuous unit. The top two vertebrae, called the atlas and axis, are the most mobile segments in the spine. These two bones move in six different directions, allowing the head to move up or down, bend side to side or turn left to right. The other vertebrae move primarily in two directions, making them stronger and more stable than the top two vertebrae. Secondly, the upper cervical spine (neck) has thousands of “sensors” responsible for maintaining both the proper posture and alignment of the spine, as well as the balance and stability of the head. These sensors are constantly monitoring head position, making the necessary changes throughout the lower spine to assure that the head remains upright. When the spine is aligned, it is extremely strong and stable. However, due to their mobility, the top two neck bones are especially vulnerable to injury or misalignment. When a misalignment occurs at the top of the neck, the lower spine compensates or adapts in an attempt to balance itself. 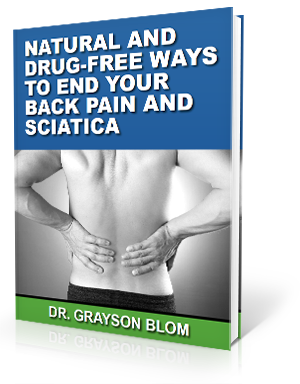 This creates a global problem that triggers a chain reaction from the top to the bottom of the spine. When the head is stuck off center, THE LOWER SPINE HAS TO COMPENSATE; the pelvis is tilted to one side or the other, one leg will be longer and one leg will be shorter, creating a muscle imbalance resulting in spinal pain over TIME. A simple experiment you can do at home, is to take a bowling ball and hold it as far out in front of your body as possible and stay that way. You will quickly see our point if the HEAD is not BALANCED over the spine it will create problems in the LOWER SPINE. This is the most commonly over looked source of lower back pain. Most treatments focus on the effect (the low back pain) when the actual cause is in the upper spine (Atlas or Axis misalignment)... simple physics and biomechanics. If you ignore these problems it will lead to a bigger problem given TIME. Upper cervical misalignment is also the most commonly overlooked source of premature arthritis and spinal degeneration because the head being off center creates high stress areas in the lower spine, wherever that extra weight ends up the spine will begin to degenerate given TIME. The Most Commonly Overlooked Cause of Lower Back Pain Is? A Previous Injury to The Head or Neck That Resulted in A Misalignment of One of The Top Two Neck Bones! ﻿﻿﻿Dr. Grayson Blom works with a nationwide group of Doctors expertly trained and specializing in the Upper Cervical procedure. Dr. Grayson Blom is also one of the few Doctors in the state of Idaho trained and certified in the Upper Cervical procedure. We are dedicated to helping patients just like you who suffer from lower back pain, hip pain, chronic headaches, migraines, neck pain, shoulder pain, and other spinal related disorders. Take the first step toward reclaiming your health… Call our office (208) 559-0541 or fill out a consult request form.